Meant to post that the USBC posted the live streaming schedule on http://bowl.com/livestream/ and, as usual, all of the Regular division champions of last year will get coverage, as well as past Junior Team USA members Jake Peters and Geoffrey Young (team), Derek Magno & Joe Conti from NY (D/S), Team USA member Bryanna Cote (team), former Wichita St. players Brent Bowers and Kristopher Prather (team), and USBC Hall of Famer Dave Husted (D/S). Coverage of the Women's Championships is also listed on that page. Sorry, folks, but Riggs and the 11thFrame.com group isn't on it this year. Unfortunately, this will be the last year for the foreseeable future that there will be live streaming from the Open, as it was thought that later bowlers got an advantage on lane play from watching the live streaming. are people really getting an unfair advantage from watching other people bowl? Call me a perfect example. I got to watch Matt McNiel live last year. I sat right behind his pair and watched every frame he threw. Didn't miss a single shot of his historic third All-Events Eagle. Not to mention the rest of his group...which for the most part all bowled really well, too. You'd think I would have picked up something that would help me on the lanes. Nope. Nothing. I stunk. But I'm just a house bowler who has no real chance of doing anything great at nationals. How about the PBA and USBC Hall of Famers crowded around studying him as well? Based on their scores, I'd conclude that merely watching a good bowler bowl a pattern, doesn't really give you much of an advantage. 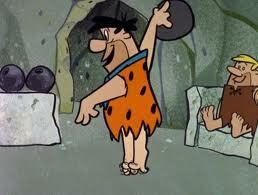 Maybe great bowler can get a few decent ideas. But decent ideas don't automatically translate into great scores. And to further add to the discussion, take a look at Erik Vermilyea's group last year. They were really the first really big name team to stroll into El Paso. Without the advantage of seeing anyone else bowl, the took the Team All Events lead by 700 pins. And the rest of the super-star teams sitting at home watching...didn't even come close to knocking them off the top spot. It was maybe one of the best team performances in the history of the tournament, and it was done without NEEDING to watch other great teams bowl. All I'm saying is...I think its a tragedy we're losing the livestreams. You got that right Champ. Publishing the patterns and broadcasting games won't mean a hill of beans for the vast majority of bowlers. 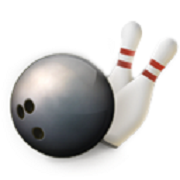 The Regular Team leaders' effort last night was on the BowlTV stream. If that's the case, and given how friendly the Stadium was to lefties during the WSOB, I wouldn't put it past Matt McNiel to win a fourth all-events Eagle. Add into your factorization that a lot of experts are saying these patterns may play a tad softer for lefties as well. Oh, and I saw on Facebook last night that in his house shot league he's averaging 257 (maybe 258 after just shooting an 818)...so he's obviously bowling well right now. Lots of whispers about him going after Jeff Carter's average record. Oh, and one more McNiel nugget...bowling in his city tournament he shoots 804/813/816 for a 2433 All-Events. He's red hot right now. Matt Smallin (28, R, Glenburn, ND) has been consistent in his seven Open appearances, this year using subtle speed adjustments to post games of 258, 259, and 268 for a 785 series and the Regular Singles lead. Note: 793 won Regular Singles last year.